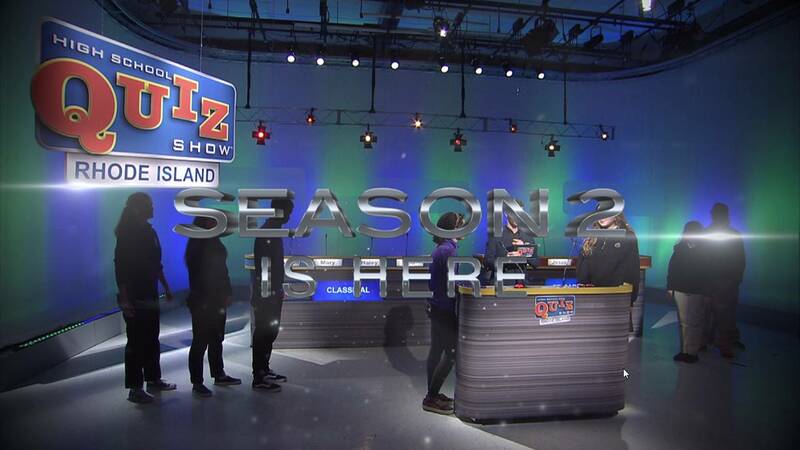 The second season of High School Quiz Show: Rhode Island® highlights the best and brightest young scholars in Rhode Island. This rigorous competition offers local high school students a unique opportunity to display their academic prowess on television. Semifinals air May 2 and 9. The State Championship match airs May 16. High School Quiz Show: Rhode Island is a team-based single-elimination competition among qualifying high school teams, executive produced at Rhode Island PBS by John H. Smith. Teams are composed of four students and up to two alternates, with at least one adult coach. All Rhode Island public and private high schools were eligible and invited to participate. This season, Rhode Island PBS welcomes Joe Short as the new host of High School Quiz Show: Rhode Island. Mr. Short is a professional actor, teacher, and production artist. He has appeared on stages in Boston, New York, and Washington DC. Locally, he has performed at Trinity Repertory Company, the Sandra Feinstein Gamm Theater, and the Wilbury Theatre Group in Rhode Island. “We are looking forward to celebrating the academic achievement of our students, and producing great local television with host Joe Short. This will be a valuable experience and a series of exciting contests for the students, the schools, and their families and friends, as well as our viewers,” said John Smith, executive producer of High School Quiz Show: Rhode Island. The winner of High School Quiz Show: Rhode Island takes the State Champion title to the interstate invitational among three other teams from New Hampshire, Massachusetts, and Maine. The semifinals air back-to-back on Saturday, May 18 at 6 and 6:30 p.m. The winners of those two matches advance to the interstate final, airing Saturday, May 25 at 6 p.m.
Episodes will be available every Friday after broadcast for on-demand online viewing on ripbs.org. WSBE Rhode Island PBS is operated by the Rhode Island PBS Foundation, a non-profit 501(c)(3) organization. WSBE Rhode Island PBS is a viewer-supported member of the PBS network of public broadcasting stations, and uses the power of noncommercial media to educate, engage, enrich, inspire, and entertain viewers of all ages in Rhode Island, southeastern Massachusetts, and eastern Connecticut since 1967. WSBE-DT delivers content on two channels: Rhode Island PBS (digital 36.1), and Learn (digital 36.2). For more information about programs and education services at WSBE, visit www.ripbs.org.